Your river cruise vacation starts in marvelous Amsterdam where there is much to see! Discover the treasures of this popular, historic city on a canal cruise which takes you through the elegant Grachten lined with stately homes dating back to the city’s "Golden Age." Continue your stunning European river cruise to Strasbourg, France, where a local expert will show you the red-sandstone gothic cathedral with ancient murals and fascinating astronomical clock. Also, stroll through the lovely La Petite France district with its quaint shops, delightful bistros, and peaceful waterfront promenade. 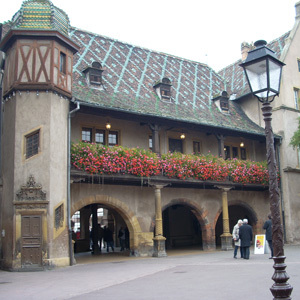 At the foot of Kaiserstuhl Mountain on the French-German border sits Breisach-known to be the gateway to Germany’s famous Black Forest, an area of unrivaled natural beauty. 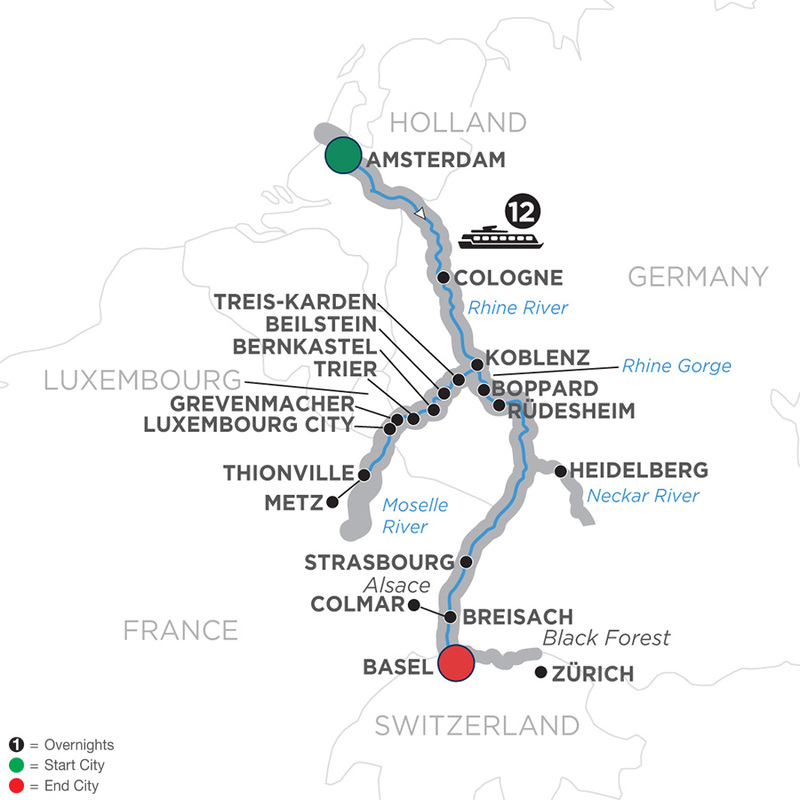 Disembark on this exciting river cruise in Basel, Switzerland.